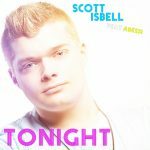 Last time was a pair performing signed Supras, this time it’s a signed Scott Isbell poster. Check out the poster on the fan page, download it, and share it on Twitter and Facebook! Use the hashtags #babyboyblue and #isbellites and get a response from Scott, a little one-on-one interaction.